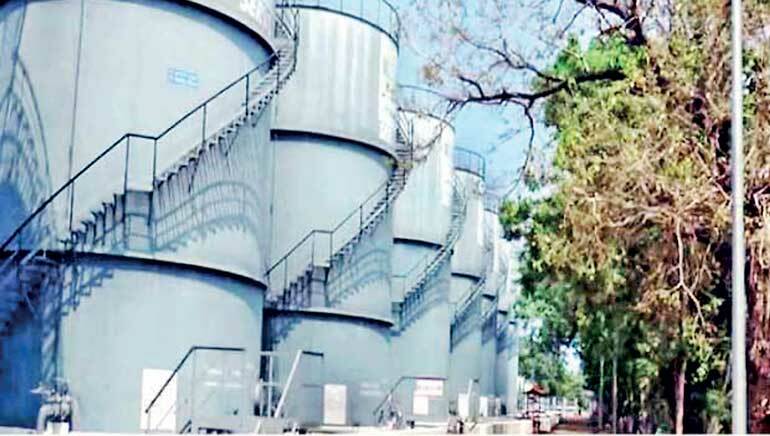 Muddled thinking has marked approaches to the Trincomalee Oil Tank Farm ever since the 99 giant but rusting and unused tanks of World War II vintage were handed over to India in 2003 on lease for 35 years. The agreement signed on 7 February 2003, envisaged the transfer of all the 99 tanks and the land on which they stood, to the Lanka Indian Oil Corporation (LIOC), on a 35-year lease for an annual payment of $ 100,000. But the Sri Lankan Government was guaranteed access to the tanks to fulfil “national and security needs”. The agreement, which could not be annulled unilaterally, was signed by the Treasury Secretary, the Ceylon Petroleum Corporation (CPC) and the LIOC. Following the transfer, India refurbished 15 tanks in the Lower Tank Farm and built two more, at a cost of over $ 15 million. It has been having plans to invest another $ 17 million to refurbish some tanks in the Upper Tank Farm also. More tanks could not tanks could not be refurbished for want of money (it would need an outlay of at least $ 300 million more). The absence of a bigger market for petroleum products in the island due to the war, and political uncertainties after the war ended in 2009, were other deterring factors. While LIOC has been the main user of the tanks, the Sri Lanka Air Force and Prima bread factory have been using four. LIOC has been earning a profit and paying to taxes to the Sri Lankan Government. In 20016-17, for example, it had earned Rs. 80 billion and paid taxes to the tune of Rs. 30 billion in addition to paying a lease fee of $ 100,000 per annum. However, the handing over of the tanks to India has been controversial right from 2003. Though it was the Sri Lankan Government which handed over the tanks to LIOC, a wholly-owned subsidiary of the Fortune 500 Indian public sector company Indian Oil Corporation (IOC), a section of the Government led by President Chandrika Kumaratunga was not in favour of giving the whole lot to India. The Late Lakshman Kadirgamar, who was then International Affairs Advisor to President Kumaratunga, felt that the tanks should have been parcelled out to a number countries including Singapore, Japan and India, to safeguard Sri Lanka’s sovereignty. However, no action was taken to reverse Prime Minister Wickremesinghe’s decision even after the end of his short-lived regime in April 2004 and the coming to power of a government aligned to President Kumaratunga. But come 2013, Sri Lanka-India relations soured very badly on account of India’s tilt towards the Tamil side in the ethnic conflict on the human rights issue at the UN Human Rights Council. Under pressure from Tamil Nadu, the then Indian Prime Minister, Dr. Manmohan Singh, skipped the Commonwealth Summit held in Colombo in November 2013. In March 2013, an angry Mahinda Rajapaksa Government indicated that it would take back the tanks from LIOC, saying that the transfer of the tanks and the lands was illegal. In December, Rajapaksa told Parliament that Government would re-nationalise the tanks. There was a complaint that the LIOC was holding most of the tanks but not using them. Therefore, Sri Lanka should take them over and use them. However, the Government backed out when India said that the 2003 agreement could not be annulled unilaterally. The transfer agreement was not invalid as the Sri Lankan Treasury Secretary and the CPC had signed it. In September 2016, to the Indians’ surprise and dismay, the new and apparently friendlier Government of President Maithripala Sirisena and Prime Minister Ranil Wickremesinghe announced that the Government proposes to take over 16 tanks for use by the CPC on account of the expected shortage of fuel for power generation. In February 2017, Petroleum Minister Chandima Weerakkody proposed that 30 tanks be jointly developed by LIOC and CPC under the first phase of a plan worked out by Consultants Earnest and Young. The same month, the Parliamentary Committee on Public Enterprises (COPE) reported that the land lease agreement had not been signed since 2003 though the formwork agreement had stipulated that it be signed within six months. It also said that the LIOC had not paid its lease dues regularly. COPE urged the Government to take back the tanks. Refuting the charges, LIOC said that it has been paying the lease fee of $ 100,000 every year without fail. It had also been paying taxes. In 2016-2017, for example, it had paid Rs. 30 billion as tax out of an income of Rs. 80 billion. The LIOC also maintained that the Land Lease Agreement was not necessary as the land was transferred by the Government through the 2003 agreement under the signature of the Treasury (Finance) Secretary. However, the Indians now appear to be ready to sign a lease agreement in an effort to tide over the present crisis. On 9 February, the Common Workers Union (CWU) of the CPC filed a fundamental rights petition in the Supreme Court seeking retrieval of the tanks and the removal of LIOC from the management. The CWU claimed that the parties to the original agreement had failed to execute a lease agreement as agreed within the stipulated period and therefore the framework agreement was null and void. The Government then said that it wants to develop the 84 tanks in the Upper Tank Farm as a “Joint Venture” between LIOC and CPC on the basis of a study done by consultants Ernst and Young. To keep the Sri Lankan Government in good humour, India agreed to have discussions on this, and talks are on. After the threat of an indefinite strike by seven trade unions, Minister for Enterprise Development Kabir Hashim said on 24 April, that out of the 84 tanks in the Upper Tank Farm, 14 would be given to LIOC and 10 to CPC for their exclusive use and the rest of the 74 would be managed by the proposed LIOC-CPC. But in a contradictory statement, Petroleum Minister Chandima Weerakkody said that CPC would take 15 tanks and LIOC 10. However, Prime Minister Ranil Wickremesinghe gave a written assurance to the unions that he would not discuss the oil tanks issue with the Indian Prime Minister Narendra Modi during his visit to New Delhi beginning on 25 April and that nothing would be done without consulting the unions. India’s stand on the Trincomalee Oil Tank Farm issue appears to be that the 84 giant oil tanks in the Upper Tank Farm should be run by the proposed Joint Venture between the Lanka Indian Oil Corporation and the Ceylon Petroleum Corporation. But 10 of them could be “leased” to the CPC for its “exclusive” use. Sources in New Delhi said that India is also clear that the proposed Joint Venture applies only to the 84 tanks in the Upper Tank Farm and not to the 17 in the Lower Tank Farm. The tanks in the Lower Tank Farm would be with LIOC as per the 35-year lease agreement signed in 2003 by the then Sri Lankan Treasury Secretary, CPC and LIOC. It is learnt that India will, under no circumstances, countenance the surrender of the 99 tanks in the Upper tank Farm and Lower Tank Farm to the CPC till the expiry of the 2003 lease agreement in 2038, unless all parties to the agreement agree to its annulment earlier than that. The Indians have been saying that they have already come down considerably from their earlier stand that they have exclusive rights over all the 99 tanks as per the 2003 agreement. That agreement did not envisage joint development or joint venture. Therefore, India cannot be asked to come down further and lose total control over 10 of the tanks now. India’s stand appears to be that the Joint Venture should be able to meet the storage demands of the CPC, just as LIOC is now meeting CPC’s demands from the 15 tanks in the LTF which are managed by LIOC.